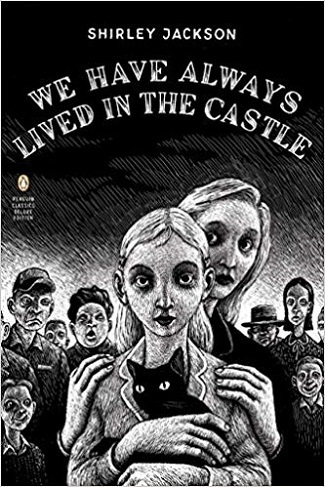 “We Have Always Lived In The Castle” from Further Films is the first movie adaptation of Shirley Jackson’s slim, creepy 1962 novel of the same name. 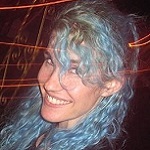 Directed by Stacie Passon and written by Mark Kruger, it premiered at the L.A. Film Festival last weekend. The movie stars Taissa Farmiga (“The Nun”) as Merricat Blackwood, who lives with her older sister Constance (Alexandra Daddario) and their ailing Uncle Julian (Crispin Glover) in the family manor on the edge of a village full of people who hate them. The rest of the wealthy Blackwoods were poisoned at dinner six years earlier, a crime for which Constance initially took the blame but was acquitted in a trial, apparently because of her sweet and selfless nature. But the villagers, who already resented Mr. John Blackwood for his arrogance and power, believe she’s guilty and possibly even a witch. Like the book, the film weaves our sympathies back and forth between Merricat and the villagers; there’s a darkly humorous moment when Merricat is harassed by Constance’s former suitor, who seems like a bitter jerk—but her narration reveals casually that her father ruined him. Ever since the deaths, the three Blackwoods have lived in solitude, with Constance blithely cooking and cleaning like a Stepford Wife—Daddario wears a constant, manic smile—Merricat obsessive-compulsively protecting the house with charms and spells, and Julian revisiting the details of the poisoning, which he survived but with brain damage.
. . . Until Cousin Charles (Sebastian Stan) arrives, a charming and self-satisfied fellow who claims he is there to help the sisters, but immediately settles into their father’s room, expensive clothes and his position of control over the house. At first the film version of Charles is more sympathetic than in the book and Merricat’s hatred of him comes off as pure jealousy over Constance’s affection; he’s right, after all, when he says things like Merricat shouldn’t bury silver coins for her spells because it’s wasting money, and he’s right to urge Constance to make her own life and travel. But while the book makes it apparent more quickly that he is after the family fortune, the movie version of Charles becomes surprisingly violent and later faces violent consequences, none of which takes place in the novel. This change is odd because it actually skews Merricat’s personality—and she is an enigma in the book. Constance also comes off as less intelligent and the film implies a reason for the poisoning incident that I don’t recall from the novel (unless it’s extremely subtle?). I would’ve preferred darker lighting throughout, and for Merricat to be less comical physically, but it’s nevertheless an enjoyable adaptation that captures the dark humor and bizarre nature of the family. This entry was posted in Books, Miscellanious, Movies and tagged crispin glover, further films, gothic, shirley jackson, taissa farmiga, we have always lived in the castle. Bookmark the permalink.